Claudia Gomez is a credentialed School Psychologist at Ocean View High School working under the title of Student Support Psychologist. She provides academic and social/emotional counseling services for students of all grades, but has an emphasis on supporting 9th and 10th graders. She coordinates Student Success Team (SST) meetings every week for students that are referred due to difficulty with academics, attendance or behavior. She also coordinates the Section 504 Accommodation Plans for students who qualify due to significant challenges in learning and other areas that impact their education. She is available on a walk-in basis for students—before or after school, during break or lunch, or by appointment. She is also available for parents via phone or email and speaks Spanish if necessary. 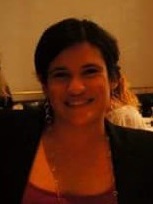 Mrs. Gomez has worked as a School Psychologist since 2002. Before starting at Ocean View High School in 2004, she worked as a School Psychologist at Santa Fe High School in Santa Fe Springs. 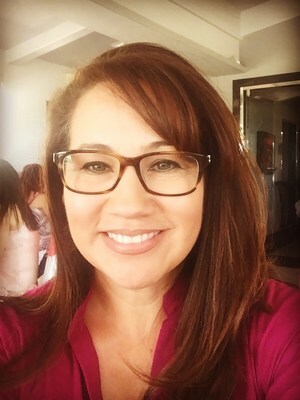 She earned her Bachelor’s Degree in Psychology in 1999 and her Master’s Degree in Counseling with a P.P.S Credential in School Psychology in 2002 from San Diego State University. Sarah Corbitt is a credentialed School Psychologist trained by the California State University in Long Beach and the Huntington Beach Union High School District; she also earned her B.A. in Psychology at the University of California, Irvine. She has worked with school-age students as a coach, interventionist, and tutor since 2007 in schools all over Southern California, including Santa Ana and East Los Angeles. Mrs. Corbitt's primary role at Ocean View High School is to assist in the assessment and educational planning for students with disabilities, although she makes herself available to students and teachers in general education for counseling and collaboration as well. Mrs. Corbitt is also available to work with parents and caregivers in addressing their children’s educational needs. Mrs. Corbitt believes that all students are capable of learning given the right supports and tools to cope with life’s barriers. Mrs. Corbitt has been a proud member of the Seahawk family since 2015 and looks forward to another fruitful year with the amazing students and staff of OVHS!